Alison is a qualified nurse and has been a registered home manager for the past five years. She is passionate about caring for the elderly, which is an area of interest that Alison has developed throughout her career. 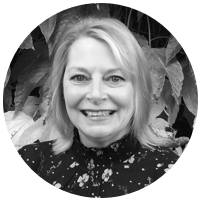 Prior to joining Stowlangtoft Healthcare Alison held the position of home manager at well known Norfolk care home. There she worked to raise standards and provide quality care as well as a lovely working environment. Alison believes that every resident should be able to live their lives the way they want to, supported by staff who know and understand them.